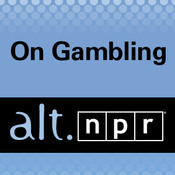 When NPR does a story about poker, they talk about the book “Chance Meetings: Intertwined Lives of American Writers and Artists” by Rachel Cohen. But things did get a little bit better when Pesca managed to jump from Chaplin and √árane to some comic book spiel about what would happen if The Hulk and The Thing got together. Now, I’ve never been much of a comic book fan, and I don’t think I’ve ever owned one in my life (Archie perhaps? ), but 30 or 40 seconds into this podcast, the thought of The Hulk and The Thing “getting together” reeled me back in just in time for the podcast to turn its attention to, believe it or not, poker. And despite what I’ve already said, the podcast is a good listen, or at best, worth a listen, as Pesca talks with several underground players about the scene as well as recent events, the laws at issue and where we go from here. The always alluring Alessandra Ambrosio . . .